Q. It seems like after 5-all you had no problems anymore. RAFAEL NADAL: Problems? There is always. There is always some key points of the match that change the dynamic of the match. Is true that I was lucky in the first set to have the set with me because was very dangerous. I think Kevin was playing very aggressive from the beginning, going for the winners every shot. He had the breakpoint before in the 3-2 or 3-All, I think. Then with the 5-All I was lucky, sure. I played two forehands down the line, because was not an easy forehand because he pushed me. I changed the direction, but I can miss that shot, no? Then a few good serves, but especially the ace again. Yeah, but in general, even if he had that chances in the first set, even in the first set seem that he was having more chances than me, I was playing better than the days before, no? I felt myself with better rhythm in the legs, better rhythm with my forehand. So in general, I am very happy the way I played today. The way that I improved my level is not the most important thing; obviously the victory is. Q. Tell us how you get out of these difficult positions. What is going through your mind in those moments? RAFAEL NADAL: I try to think point by point. I know with Love-40, losing that games with the first set and losing the first set against a player, a very good player like Kevin, he has big serve, and then he's able to play good from the baseline, pushing you from the first ball. So I know that I going to play with lot of pressure during the rest of the match if I want to have chances to win. And I fought point by point. I just tried to change a little bit the way I was serving. I served a little bit more aggressive. It's true that I had two forehands down the line, as I said before, that can miss. But for the rest, I had two good -- Love-40 was that forehand down the line, but then in the 15-40 and the 30-40, two good serves to the body. Something that I was not serving very often since that moment, so I changed that. Then breakpoint I changed the direction and serve probably the fastest serve for me this tournament, 205 ace in the middle, no? So just try to play with the right decision, right determination, and I did. Worked well. But sometimes works well, sometimes isn't. Q. A lot of other players get tight in these moments. You don't seem to get so tight, so worried. RAFAEL NADAL: I am (smiling). Q. You said a week ago before the tournament that you didn't consider yourself one of the favorites to win it, but ask you in a week if you're still here. You're still here. How do you feel about your chances to go further now with four wins under your belt? RAFAEL NADAL: I am one of the eight. That's the most important thing, no? I am in the last eight of the tournament. Seriously, for me, I cannot talk about that. I never talked during my career about that. But especially in this moment when you are coming back after a period of time where you were not on competition and you're going to play a very tough player like Tomas Berdych that he started the season great playing very well in Doha, and now he's here in quarterfinals. I don't know if he lost a set. I don't think so. He's playing great. Will be a very tough opponent, no? But for me quarterfinals is a great result, talking seriously. Arriving here, losing in the first round of Qatar, not playing matches for the last seven months, to have the chance to be in quarterfinals again here is a very positive thing for me. I'm very happy for that. I am sure that going to help me for the next events. For sure I going to try my best after tomorrow. I am not a person that I am happy like this and that's it. No. I try to play better and better every day. If that happens, I hope to keep having chances for the next match. But today is a day to be happy the way that I improved my level of everything, talking about tennis, all the things I have to do on court. I was closer today. Even if I played the first two sets the other day well, today I was much closer what I have to do to try to have success. Q. How far do you feel you are from your best shape? 60%? 70%? RAFAEL NADAL: That's not mathematics. You cannot say number. Doesn't matter at the end. I am in quarterfinals. I am feeling better every day. You don't know. Today I was at very, very high level winning against Kevin Anderson. I don't know which ranking he has. 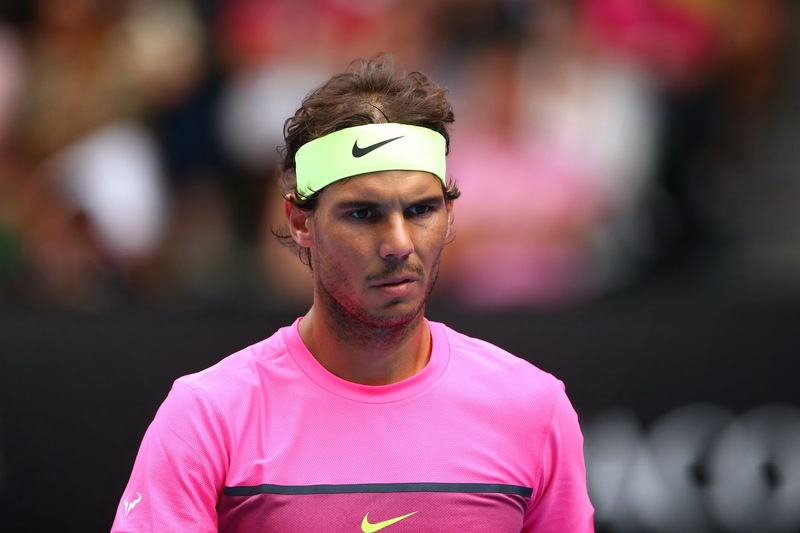 RAFAEL NADAL: Winning against the No. 15 of the world in straight sets, would be very arrogant if I say I'm not a very high percentage. Happy the way I played today. Is the first day that I felt that I was playing at the level that I want to play and the way that I want to play. Let's have a chance to practice tomorrow, keep doing well the things I did today, and then try to arrive for the next match with the highest energy possible and try to be ready for it. I know it's going to be very tough. Q. You mentioned Berdych earlier. You have an incredible record against him. I think you've won your last 17 matches, 37 out of the last 40 sets. Why do you think you have been so successful against him over the years? RAFAEL NADAL: Doesn't matter what happened in the past. Is different story this time. Different moment for me; different moment for him. So the way we arrive to that match don't going to affect what happened in the match. I'm sure of that. He's a great player. I have success against him, but I have the chances to lose against him. I remember 2012 probably I had a very, very tough match against him here. It was close to be two sets to love down. He's a player that is top level.